Dan Lamont is Tatoosh founder, creative director, video director/producer and DP. He is a photojournalist by training; a passionate storyteller who has covered social justice and environmental issues for decades completing hundreds of assignments for the New York Times, Time, Newsweek, Stern, GEO, Der Spiegel, Paris Match, AT&T, Microsoft, North Pacific Seafoods, the Bill & Melinda Gates Foundation and The Howard Hughes Medical Institute, just to name a few. Dan is also a connect-the-dots media strategist with a Master of Communication in Digital Media degree from the University of Washington. He was a journalism fellow at Seattle University and has taught college courses in media content strategy and business as well as documentary storytelling and video production. He is Past-President of the Board of the non-profit Blue Earth Alliance and Past-President of the American Society of Media Photographers Foundation. 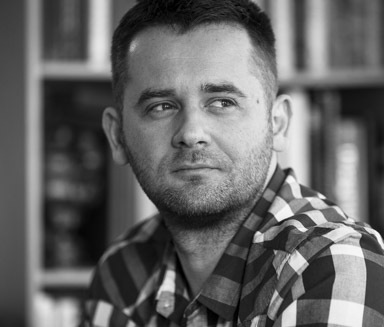 Djordje Zlatanovic is Tatoosh Media's director of operations. Originally from Sarajevo, then Yugoslavia, now Bosnia, Djordje immigrated to the United States in 2001. His choice to follow a path of photojournalism came as a natural one: losing his country, his home, and every photograph from his childhood was both hard and productive. It defined his vision and made him even more determined to document life and educate others through his lens. Djordje is a 2008 graduate of the Photography Program at the Seattle Central College. In 2008 he participated in the Missouri Photo Workshop, which further defined his drive for storytelling. His current project “Graveyard Shift” depicts and explores night shift workers and the impact of shift work on their lives. Djordje combines these passions with an innate understanding of digital technologies that allows Tatoosh to build and manage projects leveraging the very best technological solutions. Brad Curran is a senior associate at Tatoosh Media where he has participated on numerous projects as both cinematographer and editor on our projects for the MacArthur Foundation, the Kellogg Foundation, the Yakama Tribe and the Muckleshoot Tribe among others. Before taking up photography and filmmaking Brad earned a degree in psychology from Southern Oregon University. Brad is also instructor of video and multimedia production at Seattle Central College. Sara Finkelstein is an EMMY Award winning video producer and writer whose projects have aired on PBS and who has helped guide content and production strategy for KCTS, The Bill & Melinda Gates Foundation and Vulcan Corporation among other clients. Sara is co-producer of the upcoming Tatoosh project on juvenile justice Breaking the Cycle. She was co-producer on our film A Commitment to Community shot for the Medina Foundation. 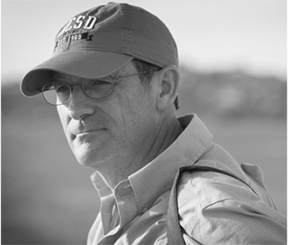 Kent Beeson is a former BBC documentary film editor with 25 years worth of international film projects under his belt. Kent is the kind of editor who can see the forest for the trees. He has a tremendous ability to find and build a compelling story from a complex set of visual assets and the craft to do it seamlessly on time and on budget. Jesus Valaquez brings a rare combination of skills and interests to the Tatoosh party. Jesus is a producer, camera operator and editor with in-the-trenches broadcast experience (MTV, A&E, Showtime, ABC News) and he embraces the kinds of cause-driven, character-based, narrative documentary approach that is the hallmark of the Tatoosh Media style. Dean Paton is a writer, reporter, EMMY Award winning screen writer, producer for documentary video and correspondent for the Christian Science Monitor. Dean was a founding member and Vice President of the National Writers Union. He is also an exceptional text editor and coincidentally the premier ballroom dance band leader in the Seattle area - a skill that helps him keep every story and project beautifully orchestrated. Tim Matsui is an internationally acclaimed photographer and filmmaker whose award-winning documentary The Long Night examined the underlying issues in the dark world of prostituted teens as seen through the lives of two young Seattle women, their families and local law enforcement. Tim has often collaborated on Tatoosh projects. Clay Frost has had a long and distinguished career as a designer, art director, interactive producer and motion graphics designer at The Oregonian, MSNBC and NBC News. His collaboration with writers, designers, editors and producers has yielded a slew of award winning stories that have been featured on NBC Nightly News, The Today Show and leading sites around the world. Steve Hyde is a cinematographer and filmmaker who brings his graduate level training in Geographic Information Science (GIS) and ethnography into documentary filmmaking, which fits in perfectly with the socially driven work Tatoosh Media produces. Pyramid Communications has been a wonderful client, collaborator and partner on some of the best projects we've shot in recent years for clients like the MacArthur Foundation, the Kellogg Foundation, and the Medina Foundation. Pyramid's original tag line was "Giving Voice to Good Causes" and they mean it, and live it. Good people, good strategists. Mammoth is a small agency with a big reach and fresh ideas. They know how to look over the fence tops and they know how to create communications pieces that really work to engage and activate audiences. They've brought us in on some of the coolest, most fun projects we've done, for clients like AT&T, BNSF Railroad and the Muckleshoot Tribe. Cocker Fennessy has literally been there done that. Rick Cocker and Anne Fennessy have a remarkable depth of experience and working on their projects (as we have for the Washington Indian Gaming Association) has not only been tons of fun but has also been a real and terrific education. Dave Anders aka "The Computer Guy" is our go-to guy when smoke starts rising from the back of the computers or the software... hardens up. He is also a monster database and SEO guy and knows how to really help get small businesses noticed.